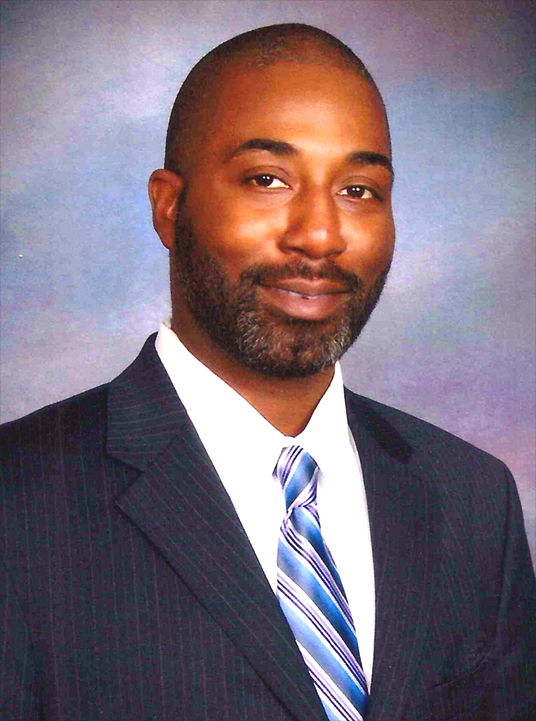 Today’s guest post comes from Joseph Butts, who served in 2005 as an AmeriCorps Service Leader with HandsOnAtlanta. He has gone on to become an author and publisher of inspirational books. His newest book, “When Nobody Gives You A Medal”, was written to encourage and inspire soldiers and veterans. It is available as a free download on Facebook. Serving in the AmeriCorps was one of the most rewarding experiences of my life. I look back on that time with appreciation because I learned that through service one person can make a difference. I experienced how patient and consistent service can positively affect the lives of children. Children who had often encountered nothing but impatience and inconsistency in their lives. While serving in the AmeriCorps I felt like my life had meaning. It was a wonderful experience, and I loved working with the children at my school! They helped me grow as an individual. And I trust that I inspired them as much they inspired me. I learned that acts of kindness are really seeds that we plant into the lives of others. Seeds that can yield a harvest that feed the spirit of the receiver, and the giver. My experiences in the AmeriCorps has also helped me grow into my life’s work; inspiring and encouraging others. I am doing this through publishing books that offer encouragement and inspiration to those that are often overlooked. I started with two groups that are among our most often forgotten; teachers and soldiers. Although we know that the work of our teachers and soldiers is valuable, they are still some of the most unappreciated. We take for granted the service of our teachers and soldiers because they work behind the scenes. And the benefits of their service is not immediately recognized. 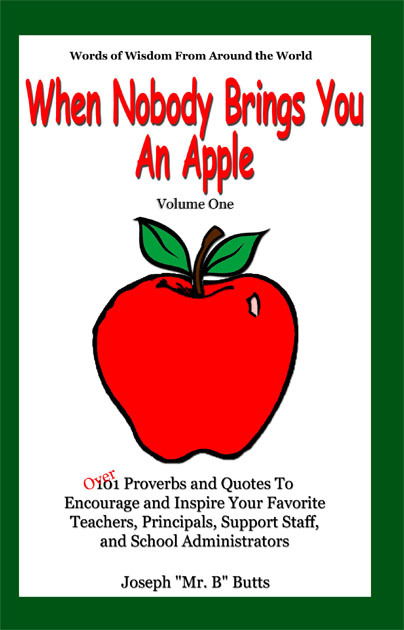 My first book, “When Nobody Brings You An Apple: Over 101 Proverbs and Quotes To Encourage and Inspire Your Favorite Teachers, Principals, Support Staff, and School Administrators” was written to encourage and inspire teachers. Almost everyone has a teacher that has affected their life for the better. The thing that can be most discouraging to teachers is that the affect and influence of their work may not be seen until many years down the road. We must encourage and support our teachers as often as we can! We can do this by volunteering a few hours at a local school, adopting a classroom, becoming a mentor, supplying needy students with school supplies, or by offering a teacher a few words of encouragement. My second book, “When Nobody Gives You A Medal: Over 101 Proverbs and Quotes To Encourage and Inspire Your Favorite Soldier”, was written for our veterans and soldiers. When we talk about acts of service, we may never fully know the full extent of the sacrifices that our veterans and soldiers have given to ensure our freedom. We enjoy our freedom yet often forget the men and women who have served and died to sustain it. Probably the most often overlooked aspect of their service is the scars that many have received. Some have lost limbs, sight, and hearing. But the worst scars are the ones that no one sees; the “invisible scars”. “Invisible scars” are the mental and emotional pain that soldiers have to live with as a result of their service. These types of scars do not heal as readily as physical ones. The affects of “invisible scars” not only affect the soldier or veteran, but also the people that love them. If you would like ideas on how to serve and support our soldiers and veterans, here are a few. You can send a soldier a book or care package through Booksforsoldiers.com. You can also become a pen pal and send a care package through AdoptaPlatoon.org. For volunteer opportunities for veterans please visit The Coalition for Iraq and Afghanistan Veterans and The Disabled American Veterans’ Voluntary Services Program. Your act of service will be appreciated. And the seed of kindness that you plant will reap a harvest that will continue to feed the receiver’s spirit, and your own. In what ways do you help to encourage others to continue their service?